Despite the promise of successive versions of task-trackers, to-do lists and all manner of cloud-based project management systems, the vast majority of day-to-day office work still takes place via email. And while the reasons for this aren't that hard to see - speed, portability, the ubiquitous presence of email clients across devices - it does bring some inherent disadvantages with it. One of the main ones is the difficulty in extracting useful data from the information silo that email can all too easily become. As long as key information is left trapped in individual emails - or across email threads - it can be hard to isolate aggragated data trends that might be of value to the wider business, your own team or just you as an individual. For example, you may be running a busy customer support centre primarily via email and wish to generate info on the volume or contents of a specific sub-section of your incoming request mails. Or looking to see where your sales team is spending most of their time in email lead acquisition. Using our powerful but intuitive interface, you can customize your reports by adding and deleting columns so that only the data you're truly interested in will be exported. You also have total freedom in terms of output formats. 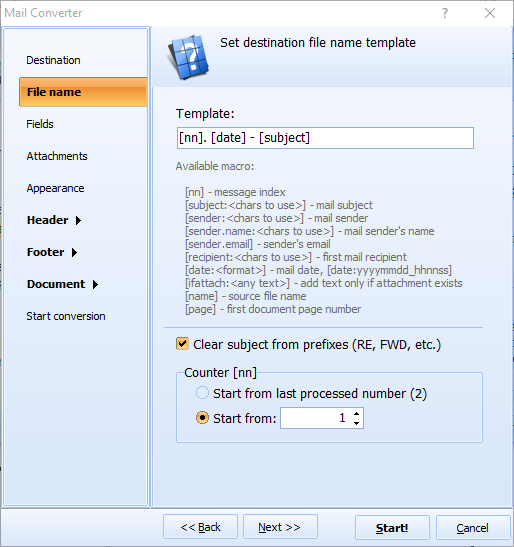 Total Mail Converter exports to PDF, CSV, TXT and HTML formats in addition to native Excel. 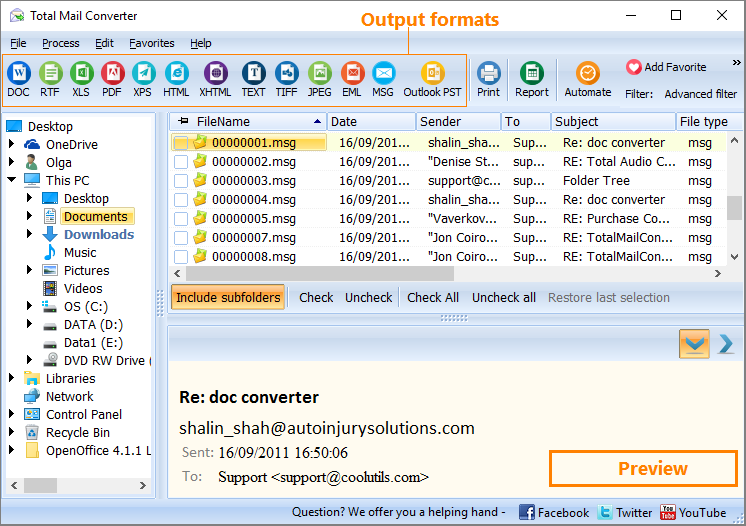 Total Mail Converter is the tool to turn to when you are looking to generate an email report in Excel. 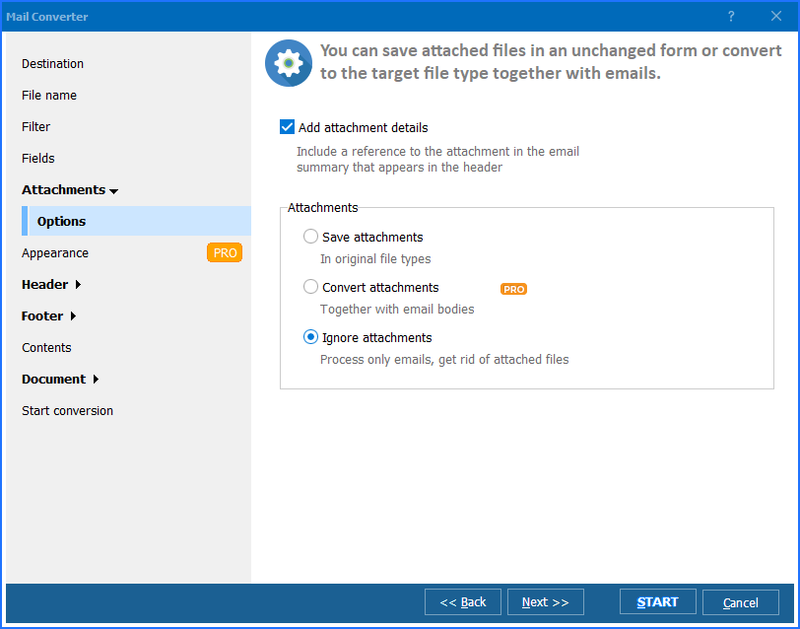 It handles all common types of email file formats with equal ease so if you are looking to make a summary report about MSG files for example, you no longer need to type "MSG to Excel create a report" into the search engine and trawl through the confusing results. 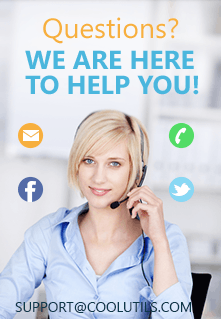 The solution to your problem is just a few clicks away. The ability to perform these types of tasks with just a few simple clicks could save potential hours of painstaking and error prone manual work. So don't delay, sign up to the free trial of Total Mail Converter today and discover for yourself the productivity boost you and your team can experience from using our software.